Gady Epstein of The Economist examines the extent to which 'stars' can impact US and international Box Office. The New York Times considers Hollywood in the digital age. Luke Dormehl, noted 'futurist' writer discusses Epagogix and his book The Formula on Steve Wright's popular Afternoon show on BBC Radio 2. In his Random House-published book The Formula, Luke Dormehl places Epagogix in the context of other forward-looking sectors that make complex decisions based on quantified evidence. Mari Mets examines Epagogix's approach in Tallin's Aripaev business newspaper. Epagogix presenting at Password - leading Baltic marketing conference. Boyd Farrow writes in United Airlines Hemispheres magazine about the in-roads made into the creative industries by Epagogix and other evidenced-based methodologies. Jeremy Rifkin makes a bold assertion and contextualizes Epagogix's role in the evolving business world in The Zero Marginal Cost Society. Epagogix's Nick Meaney invited to opine on 'anticipatory shipping' in Marketing Magazine. Epagogix presenting at Dublin's Digital Biscuit Conference in January. Epagogix interviewed by Dave Fanning - one of Ireland's leading broadcast journalists. The Irish Times' Karlin Lillington gives a comprehensive overview of where Epagogix sits in providing management information and creative assistance to studio clients. The noted Julio Sanchez Christo show on Latin America's W Radio highlights Epagogix's approach to improving the commercial prospects of films. The Daily Telegraph's Tom Rowley paints a colourful picture of Epagogix's operations and influence. Epagogix presenting at London Festival of Marketing in October. Richard Curran of Ireland's RTE "The Business" discusses the failings of some film 'formulas' with Epagogix. Stacey Vanek Smith of the USA's NPR Marketplace talks to Epagogix's Nick Meaney, and to film financiers about the utility, efficiency and necessity of evidenced-based decision-making in Hollywood movie-making and investing. Marketing Magazine examines attitudes and opportunities in the marketing sector around evidence-based decision-making - using Epagogix as an example of how creatives and analysts work together for the benefit of all. Noted science writer Tom Whipple takes a light-hearted and reductive look at Epagogix and other users of advanced algorithms in The Economist's Intelligent Life. Nick Meaney tells the story of how this small British company become a noted advisor to the Hollywood film industry at the Casualty Actuarial Society Seminar in Huntingdon Beach, CA, USA. Jennifer Nille of Brussel's L'Echo looks at Epagogix and some of the misconceptions around its process. The Wall Street Journal's Christophor Steiner on Epagogix and other "Powerful new computer programs [that] are doing tasks once reserved for composers, writers and policy-makers". Antony Funnell, the presenter of the Australian Broadcasting Corporation's "Future Tense" talks to some of those who use advanced algorithms to make better decisions in various sectors. MovieArb -- a new film investment vehicle -- is using Epagogix to provide key forecasting information. Ted.com (Technology, Entertainment, Design) How algorithms shape our world. Boom magazine's editor reviews Epagogix. Motley Fool says - "...data mining is transforming the commercial place [its practitioners] throw a healthy dose of cold water on conventional wisdom. One of the more unusual and innovative ways computer number-crunching has been put to use comes out of Hollywood. Epagogix are "Super Crunchers" asserts Professor Ian Ayres in his acclaimed new book on Why Thinking-By-Numbers Is The New Way To Be Smart. "Hollywood is an intensely risky business...there is certainly an openness to what [Epagogix] is talking about..." says Variety's Steven Gaydos in an interview with BBC Radio 5 Live. FLOPBUSTERS! Britain's famous Sun newspaper gives a uniquely succinct take on Epagogix's value proposition. La Science du "blockbuster" - an overview of Epagogix in Montreal's Le Soleil. "Nobody knows everything" ...that’s what the computers are there for, says The Guardian (UK). Malcolm Gladwell, noted author of 'Blink' and 'The Tipping Point' aims his pen at Epagogix... What if you built a machine to predict hit movies?... 'It was incredible [the accuracy of Epagogix's forecasts] ...it was like someone saying to you 'We’re going to show you how to count cards in Vegas'. - Senior Warner Brothers Executive quoted by Malcolm Gladwell in The New Yorker Magazine, Oct 16th 2006. Epagogix reported on "In Business" - BBC Radio 4’s industry innovations programme (MP3 11.4 MB). 'This is an incredibly valuable tool' - Watch a video of Malcolm Gladwell describing Epagogix’s unique abilities. Is there a formula to predict Oscar Winners? 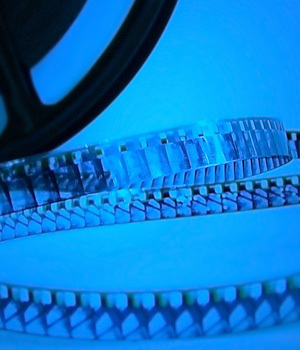 Deutsche Welle Radio’s Matthew Lawton asks Epagogix’s Nick Meaney this timely question and investigates other aspects of the 'artistic' versus the 'commercial' imperatives of film-making (MP3 3.43 MB). Peter Körte, the well-respected cultural editor of the Frankfurter Allgemeine Sonntagszeiting takes an in-depth look at Hollywood and interviews Nick Meaney and Sean Verity, members of Epagogix’s team about the potential impact of their services. Malcolm Gladwell’s groundbreaking analysis of the impact and implications of Epagogix’s approach translated into the German language by Switzerland’s Neue Zurcher Zeitung, NZZ online. The Independent newspaper - Epagogix role in changing Hollywood environment. ...or read all media reports. "Those who form their own opinion from their own experiences without any depth of reasoning will inevitably fall into wrong opinions"
"EPAGOGUE is the path that leads from experience to knowledge. Examples are particular experiences. Aristotle's 'epagogic' pedagogy is a form of teaching which proceeds from examples to an understanding of causes, as in science, which is always a knowledge of the universal"
Charles Hummel: "Aristotle (384-322 B.C.)." The effective allocation of capital is a major challenge for business leaders. Deciding which projects to greenlight, which to walk away from, appropriate levels of budget and remuneration for star performers are issues throughout all industry sectors, and particularly so in the event-driven film and television industries. Advanced Artificial Intelligence in combination with proprietary expert process enables Epagogix to provide studios, independent producers and investors with early analysis and forecasts of the Box Office potential of a script. Clients then make evidenced decisions about whether or not to spend their scarce capital, adjust budgets, or to increase the Box Office value of the property. After script analysis, Epagogix can help the client to significantly enhance Box Office potential.